07:30: Having grabbed a quick breakfast at the hotel it’s time to leave the hotel and make our way to the circuit. 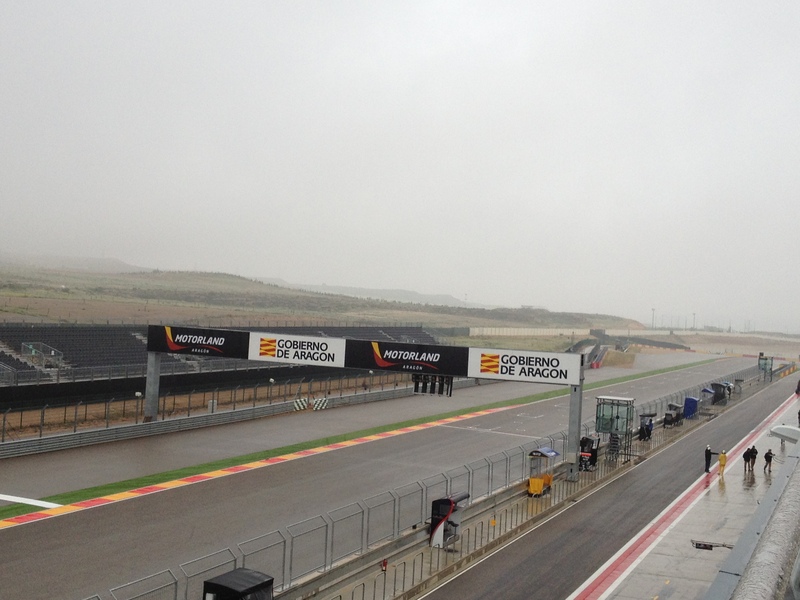 Fog is hanging over the track and rain is in the air – the wet tyres will definitely be needed at some point today. The team have a quick blast through pit stop practice before getting ready for the two free practice sessions today. The team practice their pit stops every day when they’re away – generally in the morning when they get to the track because the cars will have been set-up the night before. 08.30: With pit stop practice complete it’s time to take a step back and enjoy the view. Well, what isn’t obscured by the fog and rain that is. Meanwhile Jazeman and Carlos have made their way to the track and are catching up with their engineers as they discuss the plan for the day. Both drivers look excited about the upcoming race weekend and begin sorting their race overalls, boots and helmets. 09:00: Still raining. No sign of it breaking. The tea machine is seeing a fair bit of use as everyone attempts to warm up. 10:30: It’s getting close to the session. The mechanics have already fired the car up this morning. And with everything quiet again in the garage the drivers jump in their cars – this isn’t quite the easy process you’d think. When it’s wet like today there’s one very important thing to do – wipe your boots down so you don’t slide off the pedals. After this the mechanics fit the HANS device, strap the driver in and put the steering wheel on the car. It’s at this point that Alex Carlow (our great team physio from Pro Performance) comes along and makes sure that both Jazeman and Carlos are hydrated by giving them a last swig of their drink before they head out. 10:40: Fire up, wheel out, green light, off we go. Time to switch on the timing screen and watch the action progress. In the garage we have loads of televised information to view. At Carlin the local soap operas are a particular favourite! We kid. 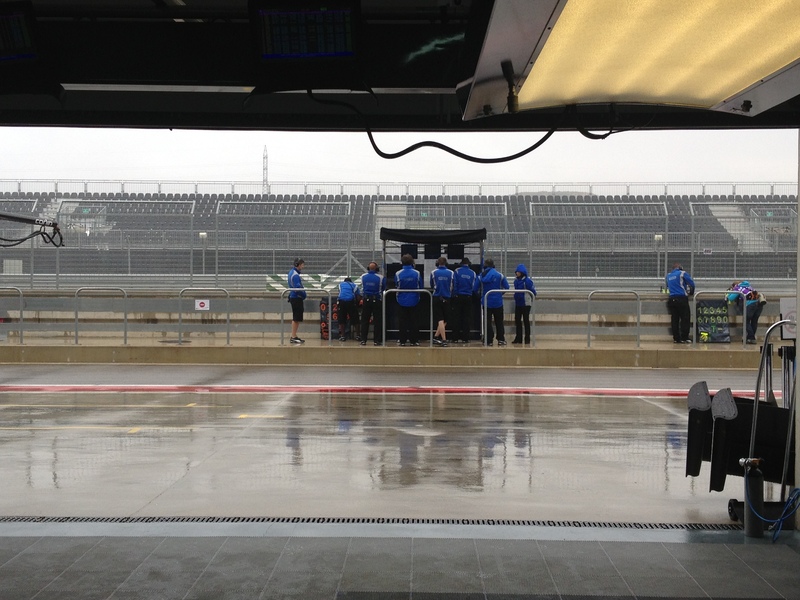 In reality, our screens give us lap times, sector times, position on track, weather information and on-track footage. 11:40: The cars are wheeled back into the garage after all the test programmes the team wanted to run through have been completed; it’s a case of running through the data and analysing everything we’ve collated now. This comes down to the engineers, data engineers and of course Carlos and Jazeman. This data is invaluable and allows us to make decisions on a number of variables over the course of the weekend. 12:30: Lunch time! A time to sit down briefly. Our chef has even promised brownies tomorrow. We’re going to be spoilt while we’re racing this year! After the quick food pit stop it’s time to get back to work ready for the afternoon session. 13:15: The time between the sessions gives the drivers a chance to not only chat with their engineers but also to sit down and relax a little ahead of the next session. This can include a multitude of things; from sleeping and massages from Alex, listening to music and generally having a bit of a laugh with the team! Some drivers prefer to relax before heading out on track, others prefer to be pumped up and ready for action so Alex will work out a pre-session routine to suit them. 15:10: Time to start another practice session. And guess what? This one is dry! Finally our lovely slick tyres can come out from their blankets. The dry track also gives us a chance to collect even more data which is great. 16:15: The drivers are out the car, the data is being looked through, the tyres are wheeled away and being cleaned and the body work comes off. The on track action may be complete but we’ll still be here for a few hours. The system for debriefing is a strict one; the same procedures are followed each time. 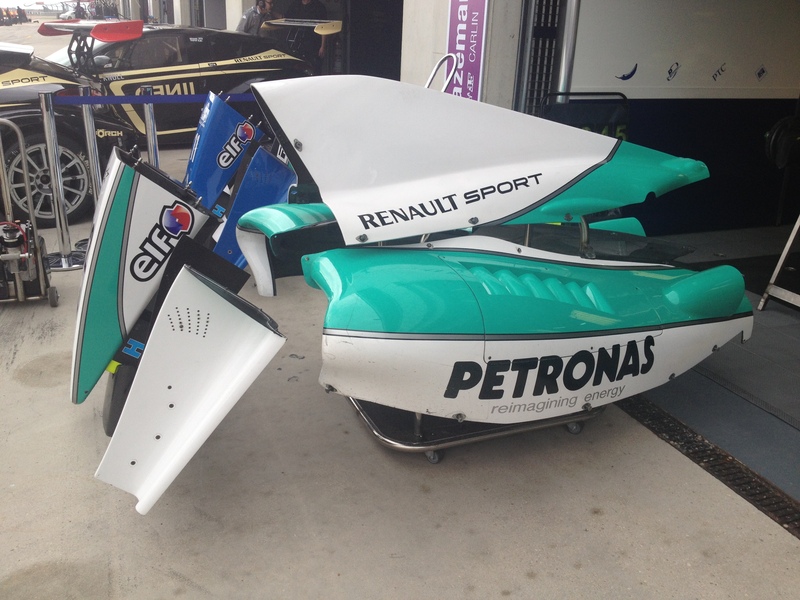 Right now Jazeman is filling out a form for his engineer while Carlos has just finished chatting with his. It is also around this time that a post-session massage from Alex is on the cards. The time from now until when we leave the track tonight will be spent prepping the car ahead of tomorrow’s qualifying session depending on the data and feedback over the next few hours. 17:45: Interview time! 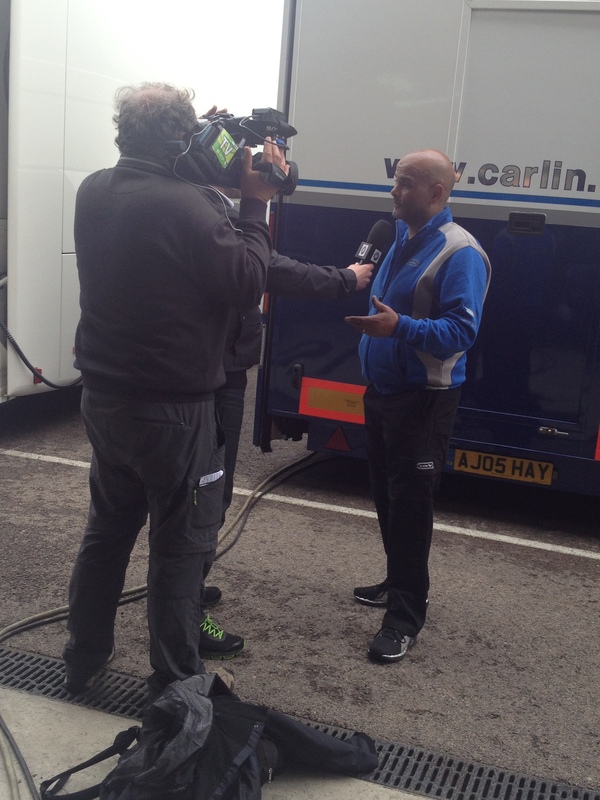 Our Team Manager Ricky has his moment in front of the camera. He’s talking about the team and how today has been for us. Meanwhile back in the garage set-up work on the cars continue. With no engine changes or big technical issues tonight shouldn’t be too late. Normally we can leave the track anything from 9pm to past midnight depending on what needs to be done. The drivers who need to make sure they are well rested ahead of the following day will leave the circuit obviously earlier. And so as we sit down for dinner and wait continue our prep, it’s time to sign off and see you again for qualifying tomorrow.